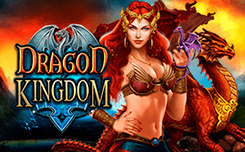 Dragon Kingdom from Pragmatic Play is an excellent video slot that has five reels and 25 paylines. 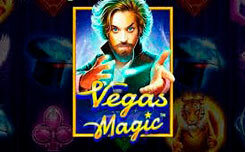 The slot has excellent graphics on the theme of fantasy and a good list of various bonuses. When you first start the game, you immediately pay attention to visual effects and beautiful graphics. Against the backdrop of a mystical tree there are symbols of three dragons and a beautiful warrior girl – these are the most expensive symbols of the slot, which are enough to collect only two pieces to get a winning combination. Wild symbol (Wild) is the logo of the Dragon Kingdom slot, it appears in random order and can fill the entire game drum. 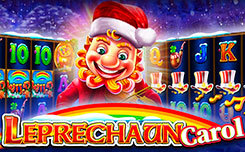 Bonus game Free Spins – starts when a three-digit golden portal is dropped anywhere in the game screen. Before running the main bonus game, you will be presented with a choice of five different options. – Super stacked wild – 5 free spins with multiplier x1. 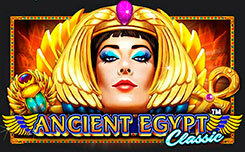 – Warrior Princess – 5 free spins with a multiplier x2. – Orange Dragon – 5 free spins with a multiplier x3. 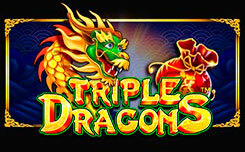 – Green Dragon – 5 free spins with a multiplier x4. – Blue Dragon – 5 free spins with multiplier X5.